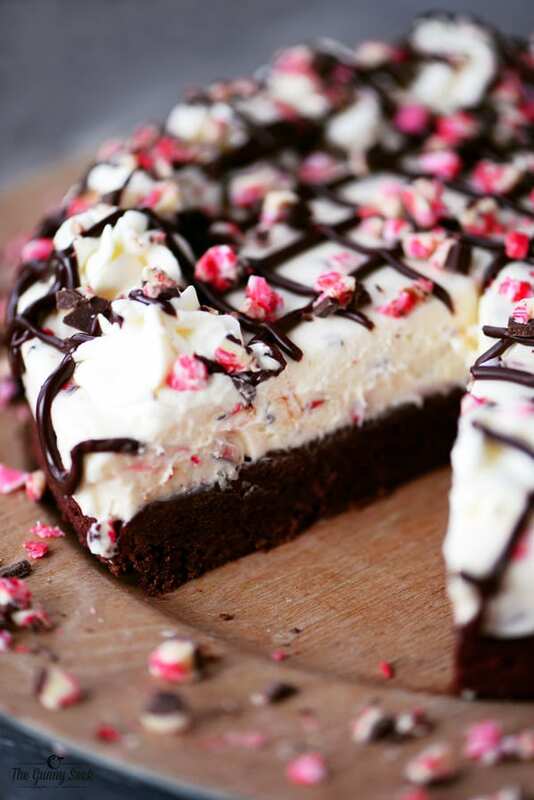 This Peppermint Chocolate Brownie Cheesecake recipe is perfect for the Christmas holidays. The cool, creamy, peppermint cheesecake is dotted with crunchy bits of peppermint bark and is finished off with a chewy brownie crust. Although I will continue making apple and pumpkin recipes through the holidays, I am so excited to start adding in peppermint desserts! Christmas candy and decorations are everywhere in the stores and although it seems a bit early, I am looking forward to my favorite holiday of the year. 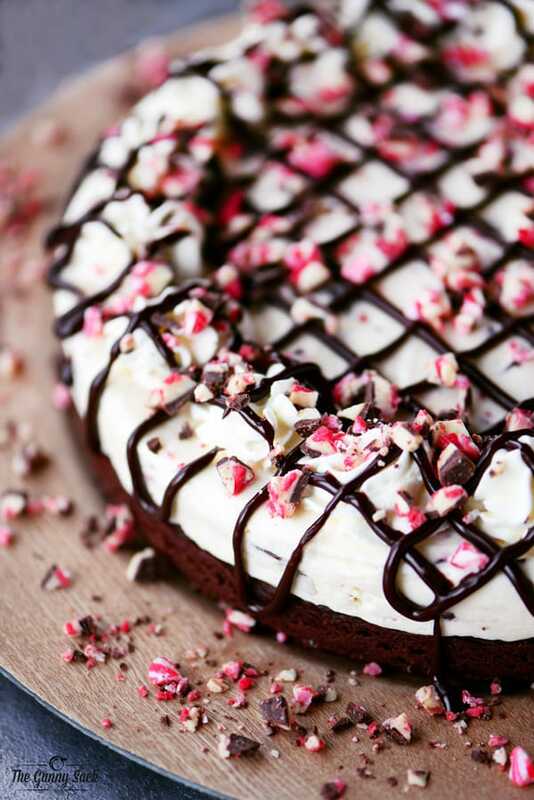 Today I’m sharing Peppermint Chocolate Brownie Cheesecake to kick off the baking season! 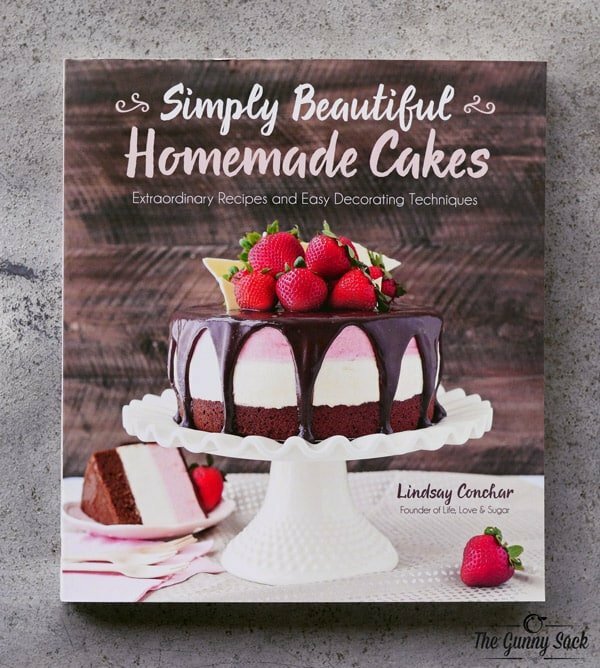 Before we get to the recipe, I want to share my friend Lindsay’s brand new cookbook: Simply Beautiful Homemade Cakes: Extraordinary Recipes and Easy Decorating Techniques. Even if you aren’t already a follower of Life, Love and Sugar, you’ve seen Lindsay’s gorgeous cakes and desserts all over Pinterest, Instagram, and Facebook. She is so talented and she is a total sweetheart. If you are interested in making cakes or know someone who is, this 256-page cookbook is a MUST. There are recipes for icebox cakes, cookie cakes, single layer cakes, cupcakes, layered cakes, ice cream cakes, cheesecakes, and holiday cakes. PLUS, there is a whole section where Lindsay shares all of her tips that take cakes from average to beautiful. 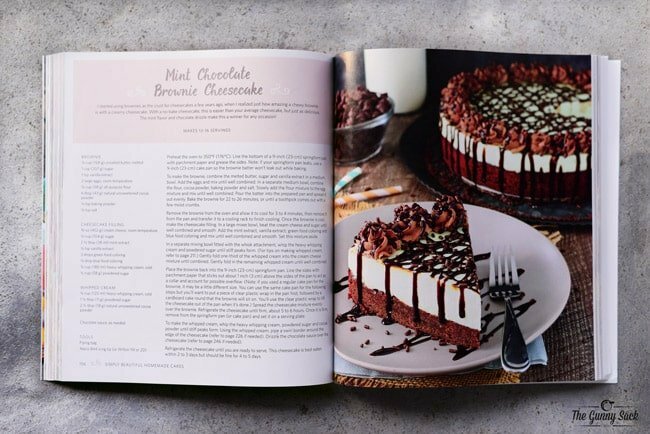 Today’s recipe for Peppermint Chocolate Brownie Cheesecake is a based on her Mint Chocolate Brownie Cheesecake recipe from the book. I wanted to make a holiday version of the recipe so I left out the green food coloring and added peppermint bark bits. 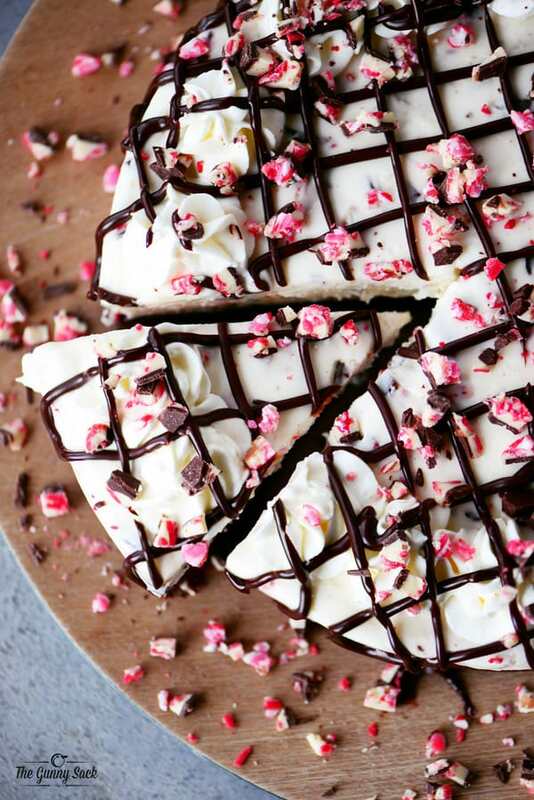 I made peppermint swirl bark (find the recipe here) and chopped it up before adding it to the cheesecake filling. If you don’t have any peppermint swirl bark available, you can substitute Andes Peppermint Crunch Baking Chips or chopped candy canes. First, make the chocolate brownie crust in a 9-inch springform pan. Once the brownie has cooled, line the springform pan with parchment paper to form a collar. Add the peppermint cheesecake filling and smooth it out. Place the cheesecake in the fridge for 5-6 hours, or until firm. Then, remove the springform pan sides and the parchment paper. Pipe whipped cream around the edge of the cheesecake and drizzle with chocolate sauce. 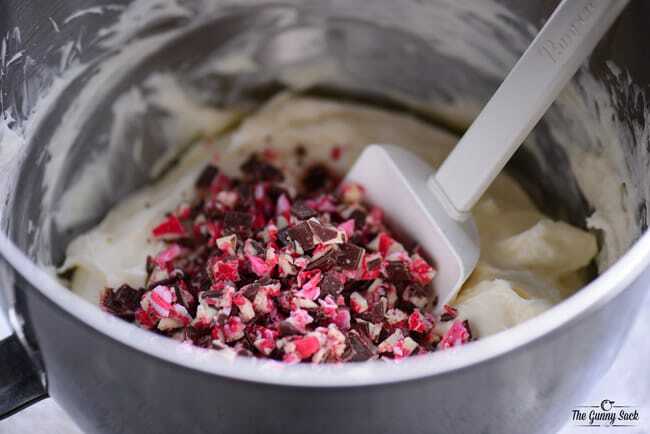 Finish the Peppermint Chocolate Brownie Cheesecake off with a sprinkle of chopped peppermint swirl bark or chopped candy canes. 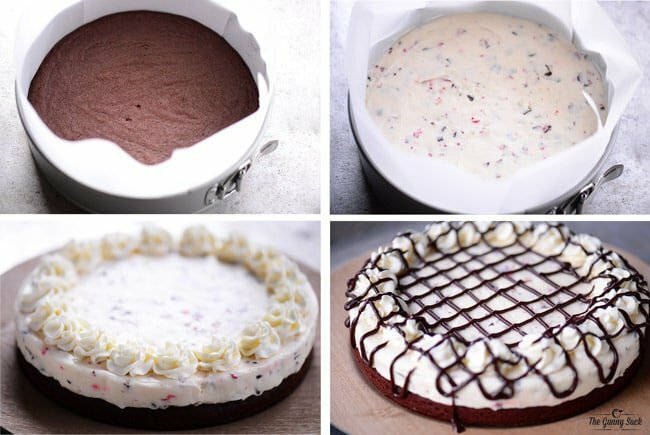 This Peppermint Chocolate Brownie Cheesecake recipe is the perfect thing to serve during the Christmas holiday season. We shared it with friends and everyone enjoyed the flavor combination of chocolate and peppermint and the dessert combination of brownie and cheesecake. 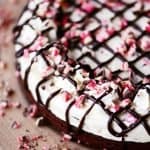 This Peppermint Chocolate Brownie Cheesecake recipe features creamy peppermint cheesecake dotted with peppermint bark bits and a chewy brownie crust. you should put that it’s strong in the description. Is 2 tablespoons of peppermint extract correct? I just tasted the cheesecake mixture after mixing it up, and the peppermint flavor is very strong. 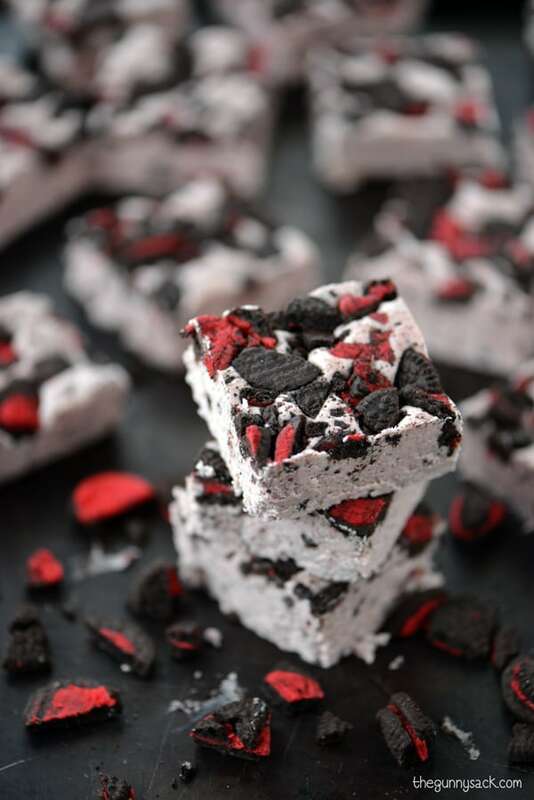 Yes, the peppermint flavor is strong in this dessert. Lindsay said that is how much peppermint needs to be added to hide the cream cheese flavor. If you prefer, you can use less though. Can you use a brownie box mix? 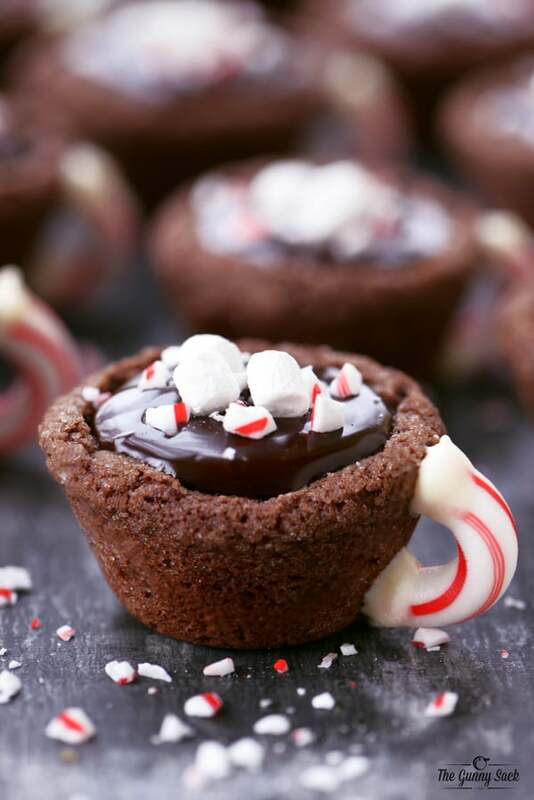 Would 1 box be equivalent to the brownie portion in the recipe? I’ve never tried freezing it so I’m not sure but I believe it would be okay. Looks delicious! Do you think I could use a square pan and just put the cheesecake filling on top? Great pie! Looks awesome. But just be prepared and plan because total time from start to finish takes a lot longer than 22 minutes ~ But definitely worth the extra time. Thanks for the recipe! 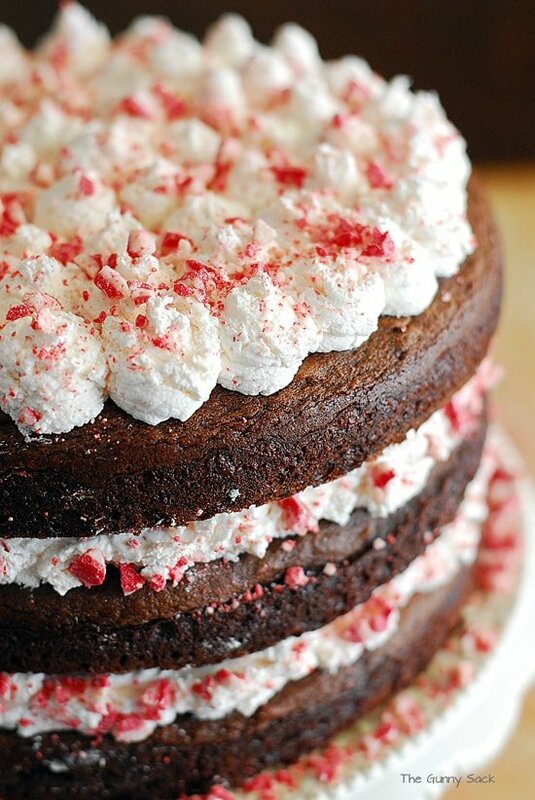 Tonia, this looks so festive, decadent and delicious! Perfect for Christmas holidays. LOVE!